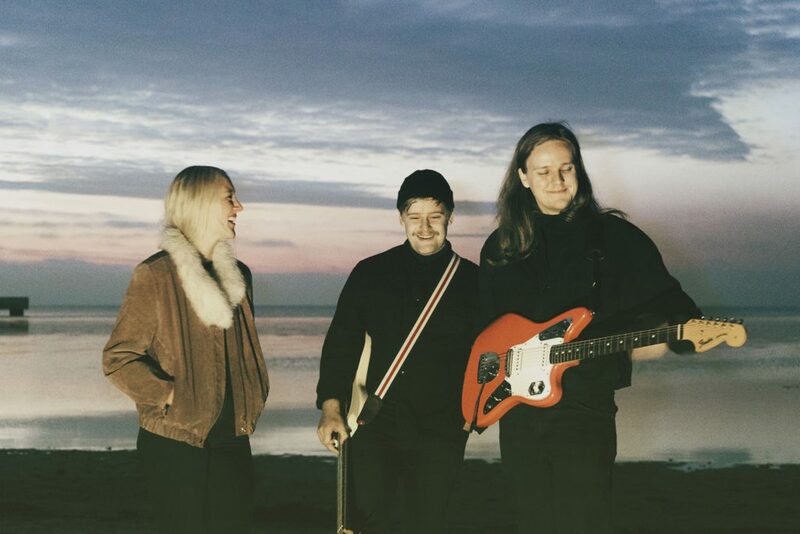 We are excited to announce that we are working with Echo Ladies, a young three-piece from Malmö in Sweden. In a strange twist of fate, we met them at the Roundhouse in London after Slowdive’s show there in October last year. Slowdive are one of their favourite bands, and they’re all proud shoegazers, but their sound is much more than that. In fact, their mixture of guitars, synths and drum machines is more like a Venn diagram of all my favourite bands and records. At various points I can hear The Cure’s ‘Disintegration’, The Jesus And Mary Chain’s ‘Automatic’, New Order and A Place To Bury Strangers’ total sonic annihilation, but crossed with the soaring indie-pop melodies of The Radio Dept, Alvvays, Camera Obscura and even a little bit of Saint Etienne. The band’s self-titled debut EP was released by Hybris in their native Scandinavia last year, but will be reissued for the first time on vinyl and digital via Sonic Cathedral on March 23. The first song from it, ‘Nothing Ever Lasts’, is on streaming services now, and the video was premiered on The Line Of Best Fit. They don’t just look back for inspiration, however, also citing The Raveonettes, The KVB and Black Marble as helping to shape their sound, but they claim their biggest influence to be effects pedals (they are now making their own to sell on tour) and “the feeling of nostalgia and hope for the future mixed with angst over defining who you are and what you will become”. This explains why so many of their songs hit that melancholy/euphoric, happy/sad sweet spot. They’re set for an energetic 2018, then, because these Echo Ladies aren’t for turning.